Harley Davidson revealed its models for the Indian market yesterday. The bikes will be available at the dealerships from next year. 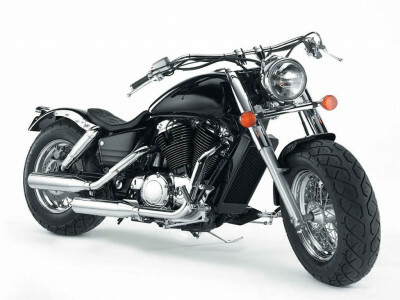 The American motorcycle giant is quite late in entering the Indian market especially when the sales are declining due to economic down turn. However, Harley Davidson remains unfazed. “We feel this is a perfect time for a perfect brand to enter India,” Harley-Davidson president and COO Matthew Levatich said after unveiling two models from over 40-plus bike range. “Given the rapid development of India’s economy and physical infrastructure, this is exactly the right time to bring the world’s greatest motorcycles to one of the world’s largest motorcycling nations,” he added. The company intends to start its dealerships with major cities in India like Mumbai, Delhi, Bangalore, Hyderabad and Punjab by 2010. India is world’s second largest two-wheeler market but it is an extremely price sensitive arena to play in. If you wish to own a Harley Davidson in India, you had better loosen the strings of your fattest purse. The bikes will be available at twice the price in the US market. This is because the company intends to import the bikes as completely built units which mean they will attract 104% import duty on each model. Remember that USA models start at USD 10,000 (Rs 5 lakhs) or so.